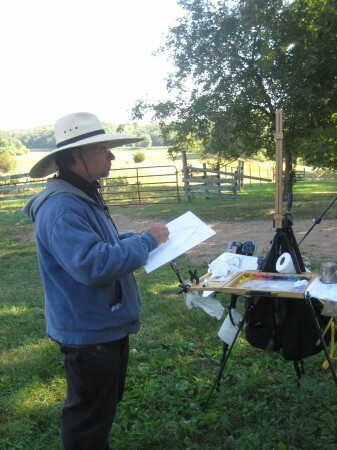 Considering that the French term en plein air literally translates to “in the open air,” Open Field naturally welcomes Plein Air Painting Day, this Thursday! 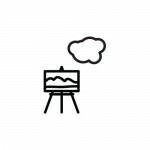 Gather up your easel and painting supplies and channel your inner-Monet! 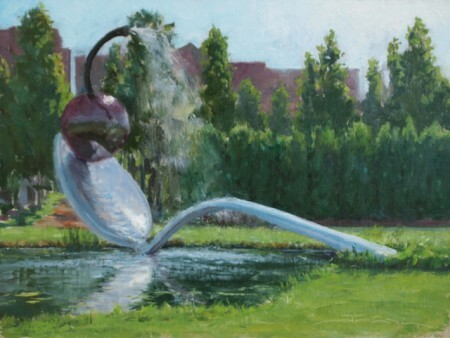 Join local artists from the Outdoor Painters of Minnesota in plein air painting on the field and in the Sculpture Garden from 11 – 9 pm on July 12th. 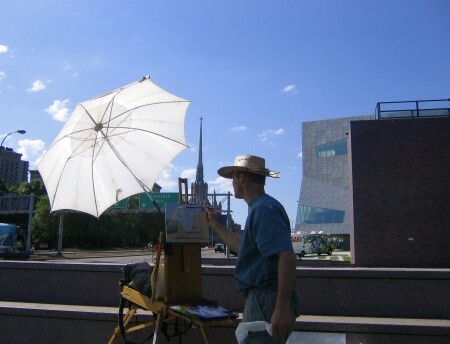 Try your hand at this outdoor painting technique that peaked in the 19th century when the concern with natural light fascinated the Impressionists. See you on the field this Thursday and don’t forget to B-Y-O-Brushes!